“State Zero”, Stockholm in the near future – post-apocalyptic short by Andrée Wallin. Welcome to the wasteland.The capital of Sweden has turned into a post-apocalyptic wasteland. We join four soldiers on a routine mission in ‘zone 3’, with the assignment to investigate an old surveillance tower that just went offline. That’s the setting in first-time director Andrée Wallin’s short film. With Andrées direction, renowned visual concepts and designs, this short film is something extraordinary. Shot in London with an international cast, exteriors shot in Stockholm and incredible CGI and VFX by us. While working as a concept artist on Star Wars, Andrée Wallin felt the desire to create a story of his own while also having the creative freedom to do his own take on some of his favorite subjects: science-fiction, vampires and a post-apocalyptic world. Andrée also felt inspired to do a different rendition of vampires than the one most present in today’s mainstream culture like “True blood” or “Twilight”, one with more animal-like traits, playing with the idea of humans turned beasts bearing traces of their former self. A native of Sweden he was also compelled to find a new setting for his post-apocalyptic world and chose Stockholm which provided a fresh location for a well-established movie genre. 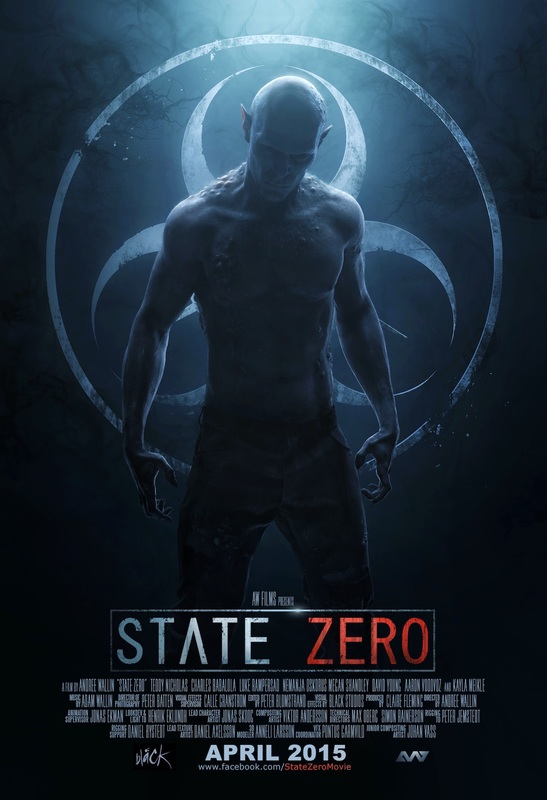 State-Zero takes place in a near future around the year 2030 a few years after a major world-changing event that has left large parts of the world uninhabitable due to large scores of vampires. These factors provide the basic foundation for the environments, technology and production design of the movie. As the story started forming, Andrée took turns between writing the script and developing concepts and key-frames starting out with the design of the soldiers and their gear. These were designed with their defense against their primary enemy; the vampires and their animal-like behavior in mind giving shape to technology such as the UV-light suit and the anti-vampire gas-grenades. During this process Andrée also drew help from some of his colleagues from Star Wars and tasked fellow concept artist Matt Allsopp with designing the soldiers transport aircraft dubbed the Wasp while himself carrying on with designing the Atrium (the superstructure seen at the very end of the movie) and roughing out the concepts for the vampires. For the preparation and planning of the principal photography Andrée teamed up with another Star Wars colleague: Claire Fleming who came on as the movie’s producer handling a multitude of operations from breaking down the script, location scouting, budgeting to casting and overall production management. Around this time Andrée also sought out collaboration with an old friend from school: Lead Compositor Calle Granström heading up the on-set supervision and post-production. With locations, cast and crew assembled the team began filming at Maidenhead (cockpit, cabin and exteriors) and Reading (shopping mall interiors) in Berkshire, UK together with DoP Peter Batten using the Arri Alexa recording Prores 444. The shoot lasted 4 hectic days and involved up to 25 people. Returning from the UK Andrée and Calle teamed up with seasoned aerial cinematographer Björn Olin to capture some of Stockholm’s most characteristic landmarks providing the base for the movies epic matte paintings. Björn employed his custom built UAS 1B-543-2 Heli-cam mounted with a Black Magic pocket camera shooting RAW. The Black Magic camera was also used to capture still and moving images to make up a large library of assets that could be shared between shots to add foliage and other elements to the environments. As the project matured Andrée and Calle had shared some of the materials with friends and colleagues which in turn sparked interest and inspiration to contribute, among these animator Jonas Ekman, character artist Jonas Skoog and lighting/shading supervisor Henrik Eklundh. The vampires had originally been intended to be actors in make-up and most of the VFX would consist of matte paintings and the integration of the Wasp aircraft done in 3d. However the VFX team managed to convince Andrée that they could pull it off better than prosthetics ahead of the shoot and the script was adjusted to initially include some background vampires situated in the ceilings of the shopping mall that was not possible to do on-set. Early sculpts and render tests however won Andrée over completely and after the shoot it was decided to discard all of the live-action vampires in favor of cg vampires. The team also pushed for adding more and complexer Wasp shots. Until then the project had largely been done in spare-time during off hours but due to the growing amount of work and the need for both render-power and a motion capture shoot the team decided to bring it to the attention of the company employing many of artists involved: production company Bläck (today a part of Goodbye Kansas Studios). Seeing the potential of both the director and the project Executive Producer Tom Olsson together with CEO Peter Levin and co-founder Annika Torell Österman came on as VFX Producers. The project was continued in conjunction with regular productions at the studio involving most of the resident artists along with a group of freelancers and collaborators working both in-house and remote. The Wasp aircraft was a joint effort between a multitude of artist beginning with 2d concepts by concept artist Matt Allsopp which were then further refined by well known hard-surface 3d designer Gavriil Klimov. The model was then taken on by Valentin Sorokin, Daniel Axelsson, Claire Fleming and Anneli Larsson who prepared the model for production and passed it on to Bläck who rigged, shaded and finalized the asset. For this the team used a combination of tools including 3ds Max, Maya, Mari and Houdini for FX such as the jet engines. To maximize protection of the crew when exposed to danger the windows of the Wasp can be covered by armor plates in situations like low flight or during takeoff and landing. This called for a HUD that could guide the pilots during periods of zero vision. To meet that criteria our 2d lead Peter Blomstrand developed the HUD around a kind of sonar system that could scan the environment of obstacles in the terrain and also be able to find heat signatures from creatures such the vampires. He also incorporated the idea of a GPS based system where known locations and objects could be displayed in the form of locators and text callouts. To achieve this effect, we used aerial plate photography that was 3D tracked and imported as a pointclouds. Custom camera moves could then be created inside Nuke and a light with a sweeping motion was cast over the pointcloud to get the effect of a sonar scanning.The elements making up the HUD are inspired by instruments found in real jet fighters and drawing upon his own aeronautical interest Peter incorporated indicators complementing the sonar system such as a speedometer, checklists, navigational instruments, maps and sights for the Wasps weapon systems. For the vampires Andrée had made a concept painting that was then handed over to lead character artist Jonas Skoog who refined the design and sculpted and textured the models using Zbrush, Mari and Substance designer. The character setup was done in maya and featured a muscle system to handle larger deformations and wrinklemaps driven by blendshapes for smaller deformations such as the face. Shading and rendering was done in Arnold and simulation handled in Marvelous designer. From the large amount of source material gathered by Andrée and Calle during various shoots Andrée started producing the matte paintings depicting the post-apocalyptic Stockholm using Photoshop.These were then layered and projected on to geometries in Nuke and moving footage of shrubbery and foliage was used to add life along with particle systems of small insects for final effect. The mo-cap shoot, led by animation supervisor Jonas Ekman, joined forces with the MoCap experts at Imagination Studios (today a part of Goodbye Kansas Studios). Working with seasoned stunt actor Nicklas Hansson from Svenska Stuntgruppen, the team captured the vampires located in the ceilings and also matched the performances from set to replace the discarded live-action takes of actors in make-up. 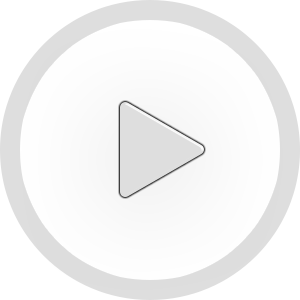 The animation was then edited and and adjusted using Motion builder and Maya. Foley was provided by Location foley while sound design and soundmix was done by Redpipe sound design under Sound designer Ulf Blomqvist. For the score Andrée looked to his equally talented brother Adam Wallin who composed and performed the soundtrack. The production was finally graded and mastered at The Chimney Pot by colorist Oskar Larsson using the Nucoda grading system.